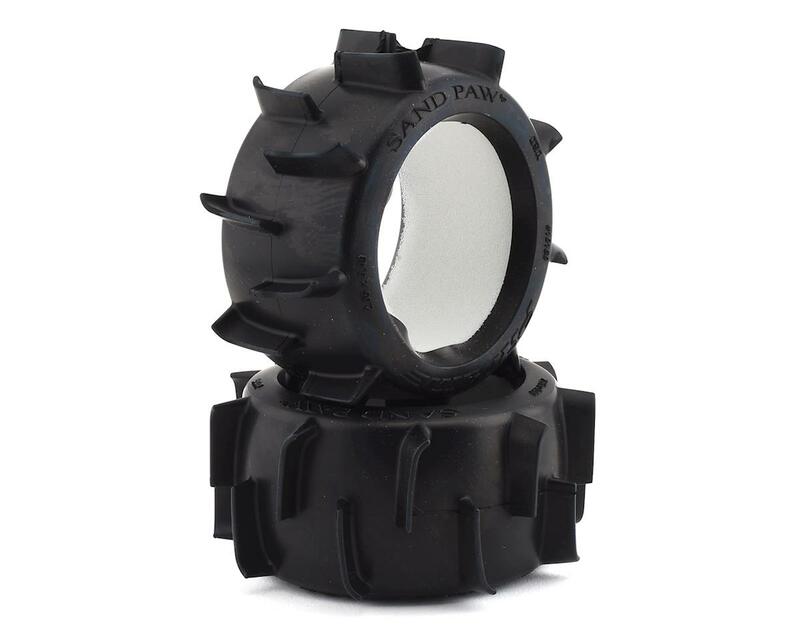 The Pro-Line 30 Series Sand Paw LP 2.8" Paddle Tire is an excellent choice for your Rustler 2wd or Rustler 4x4 when you want to attack the Sand or Snow. There is nothing like the rush of ripping through the sand dunes or shredding some fresh powder with your rig. Other tires will just slip around, but the Sand Paw LP tires will grip, rip and roost! 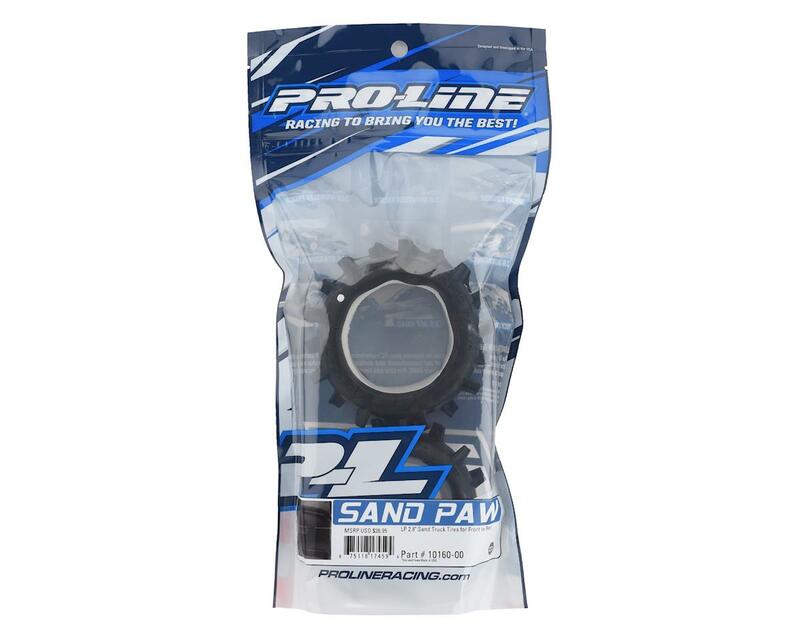 The Sand Paw LP 2.8" is a direct replacement tire and will fit on any 2.8" wheels including all of Pro-Line’s 2.8” wheel options.